Dead Cells is a really good video game, and is a perfect fit for the handheld Nintendo Switch. However, the Switch version performs noticeably under 60 frames-per-second, which makes for a less smooth experience than on other gaming systems. Yesterday, the game’s developers said they’re getting to work on improvements. This isn’t the first time Switch performance has come up. 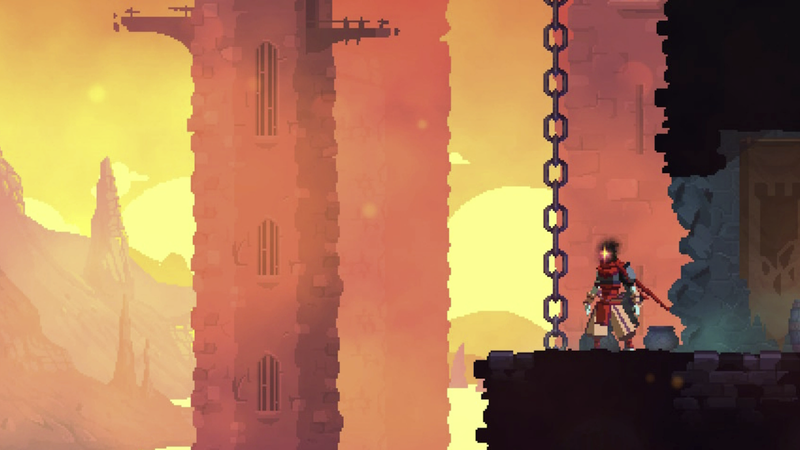 When I was reviewing Dead Cells, I noticed Switch frame-rates that felt somewhere in the 40fps zone during several parts of the game, usually some graphically detailed areas and any room with a lot of enemies. It only rarely impacted my enjoyment of the game—which, again, is great—but it was noticeable. In the process of writing my reviewing, I asked developer Motion Twin if there were any performance patches planned. One of their developers, Benjamin Laulan, gave me a lengthy and detailed statement explaining that while they were aware of the performance dips, they had had made the call to ship the game as it was, rather than delay it to work on deeper Switch optimization. He also said that if they heard from players that the game’s Switch performance wasn’t up to snuff, they’d go in and fix it after launch. It looks like they did hear that from players. Yesterday evening, in a thread on the Switch subreddit warning players of low Switch frame-rates, Motion Twin responded with another lengthy, thoughtful statement further explaining the reasons for the Switch version’s performance, apologizing to anyone disappointed by the port, and pledging to begin work on a fix. They said that they’ve allocated “all available resources” to Switch optimization, and that it will be an involved process. I’m not surprised that some players have been bummed that Dead Cells fell short of the smooth performance it has on other systems. Given how much fun I’ve had playing the game on Switch, I’m also not surprised that the developers decided the game was fun enough to ship as it was, rather than delay it. Hopefully by the end of the year, we’ll have a Switch version of Dead Cells that makes everyone happy.